Welcome to Wasatch Snowcat. We are located in scenic Mountain Green, Utah. We provide Snowcats for sale and Snowcats for rent in Utah, and all over the country. If you’re looking for a Snowcat for sale or just looking to rent a Snowcat for a fun weekend, we can help you out. We have been working with Snowcats for over a decade. At Wasatch Snowcat, we want you to experience the magic of the real winter wonderland. We can get you up into the backwoods and mountains where no average person ever sets foot, all while keeping you safe and warm from the comfort of our enclosed cabs in our Snowcats. We can offer practically every service having to do with Snowcats, including; Back country Snowcat wildlife tours, Snowcat tubing, Snowcat back country skiing, Snowcat telecom transport, and Snowcat search, rescue and recovery. We also offer Snowcats for sale, Snowcats for lease, and even Snowcat storage, modification, maintenance, repair and restoration. In case you didn’t get it, we do everything when it comes to Snowcats. While it’s hard for us to understand, we realize that not everybody wants to own their own Snowcat. That’s ok, even if you don’t have room for your own Snowcat, we’ve got you covered. At Wasatch Snowcat, we make sure your snowcat rental is an incredible experience. We want to ensure that whether you use us for business or fun, you will always remember the experience. 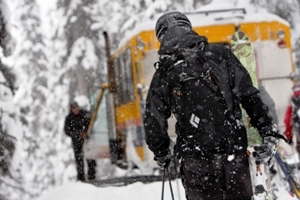 We offer snowcat rentals for both personal and business use. We can transport your team and equipment up to the top of a snow covered mountain. We can take your family on a backcountry winter wonderland tour to see wildlife and unforgettable nature scenes. We can even get you up the slopes for a unique tubing or skiing experience. Whatever your reason, renting one of our Snowcat vehicles will always be an incredible and unique experience. We also offer special rates for those occasions when law enforcement and public safety agencies need to find someone who is lost or missing in the blustery winter snow. We can help search and rescue crews get where no vehicle could ever go. We have been working closely with Utah law enforcement agencies for years in a variety of ways, and it’s our great honor to assist in these emergency situations. 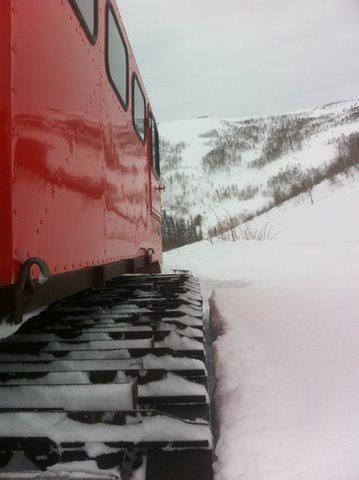 Business or pleasure, emergency or adventure, Wasatch Snowcat is here to help you anytime you need a Snowcat rental. These are unique vehicles that serve a very specific and important purpose, so whatever the reason, we have the Snowcat for rent to fit your need. Looking for a Snowcat for Sale? Perhaps you would rather just have all the fun by yourself. No problem! If you’re looking for a Snowcat for sale, you’re in luck! We are one of the most trusted sources when looking for a Snowcat for sale anywhere! We offer all the major Snowcat brands such as Thiokol, DMC, LMC, VMC, Tucker, Spryte, and Imp. We have been buying and selling Snowcats for over 10 years. We know a thing or two about what you’re looking for and why. We make sure that all of our Snowcats for sale are tuned up and ready to roll. We service the entire vehicle and hand it over to you with a full reporting of what you need to do to keep it running smoothly. When you are looking for a used Snowcat for sale, we know you expect it to feel worth the investment. That’s why we will go over the ins and outs of the Snowcat with you, making sure you have a full understand of how to operate and maintain it. When purchasing a Snowcat for sale, you most certainly want to know you can rely on that machine to get you where you want to go safely. Rest assured that every care has been taken to ensure proper function of all mechanical and electrical parts. You will drive away knowing you got an incredible deal from a reliable and trusted source. A used Snowcat for sale is an incredible investment when you consider how well these machines were made, and how long they last. We do everything we can to continue the tradition of long lasting, reliable Snowcat vehicles. As mentioned before, we work with many different makes and models of Snowcats. We can work with your Thiokol, DMC, LMC, VMC, Bombardier, Tucker, and Imp. We can fix your Snowcat no matter the problem. Our experienced technicians can service your Snowcat at your place or ours. When it comes down to it, a broken Snowcat is of no use, and we didn’t get into this business to watch you have no fun. Let Wasatch Snowcat get you up and running again so you can enjoy your Snowcat the way you meant to. 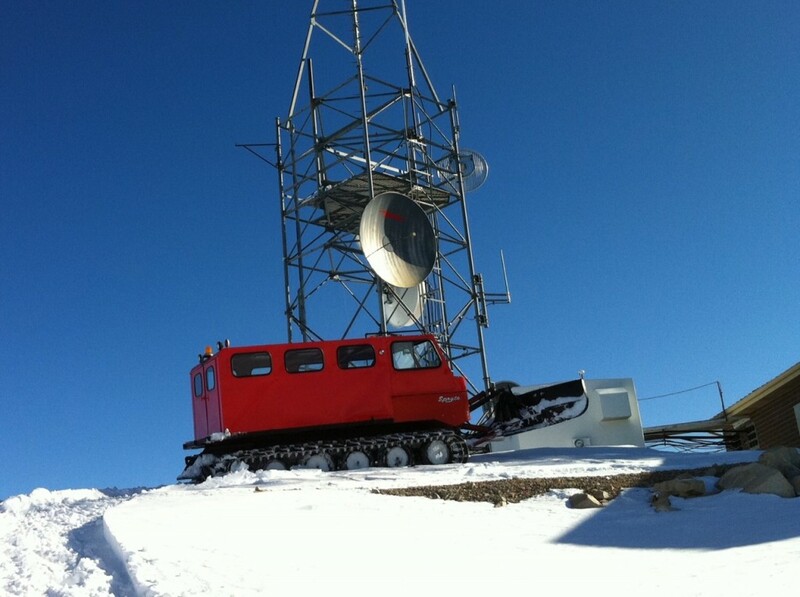 There are some common problems a Snowcat might have, but we don’t just stop there. We have dealt with all the uncommon problems as well. We will diagnose your issues and make sure that not only are they addressed, but we will also make sure you know of any other issues you may not have been aware of. We’re not some shady auto repair shop. We have built a reputation as a trusted source in the Snowcat industry because of how we handle our business. In fact, as you’ll see below, we have gained some rather high regard with well known names. As any good Snowcat dealer would do, we will always recommend you regularly service and maintain your Snowcat as well. Give us a call to set up your annual maintenance plan so you never run into any preventable problems. Where are You Storing Your Snowcat? It’s not all that common to have a large garage or yard to store your Snowcat. Most people who own a Snowcat struggle to find somewhere to keep it during the summer months. Well we have a solutions. We have extra space, and we love surrounding ourselves with beautiful Snowcats, so let us store your Snowcat for you when you don’t need it. we can keep your Snowcat safe on our property, either inside or outside. We know what it takes to properly store a Snowcat to ensure it is cared for and protected until the next time you are ready to play. Better yet, We can even provide the maintenance you need on it while we have it safely tucked away. That way it will not only be safe, but completely ready to go the next time the snow covered mountains are calling your name. We mentioned earlier about the reputation we’ve gained for reliable, trusted Snowcat sales and service. We have even managed to find our way in front of some impressive clientele. There’s a well know show on cable television that follows the story of two brothers who fix and sale diesel engine trucks. They live and work right here in Utah. They found out about our Snowcat business as well as our other Hummer business, and they ended up making a purchase from us. They liked us so much, they included that purchase in an episode of their show. 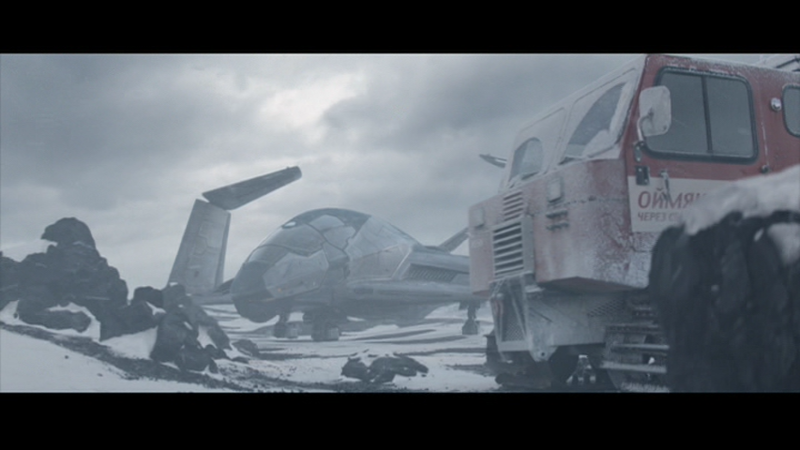 Well, did we mention that we had a Snowcat in a major motion picture? Someone from a well known franchise saw that we advertised Snowcat for rent, so they used it in a well known movie about a certain superhero American captain who was involved in a little scuffle with his friends? That’s right, it was a Wasatch Snowcat you saw trecking across the snow covered wastelands in that blockbuster. Now that’s pretty cool! We hope you’re getting as excited about Snowcats as we are! Reach out to us with any questions, or to learn about all the fun things you can do with a Snowcat. While we live and work in Utah, we can take care of you no matter where you live. If you’re looking for a Snowcat for sale, give us a call. If you need to find a Snowcat for rent, let us know. We can work with you on transporting your Snowcat and making the experience easy and painless. 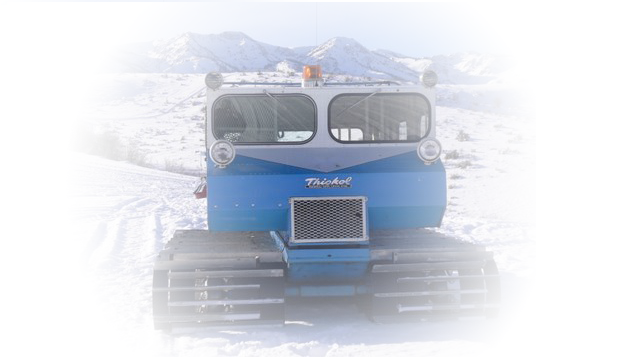 No matter what you need, when it comes to a Snowcat for sale or rent, call Wasatch Snowcat.